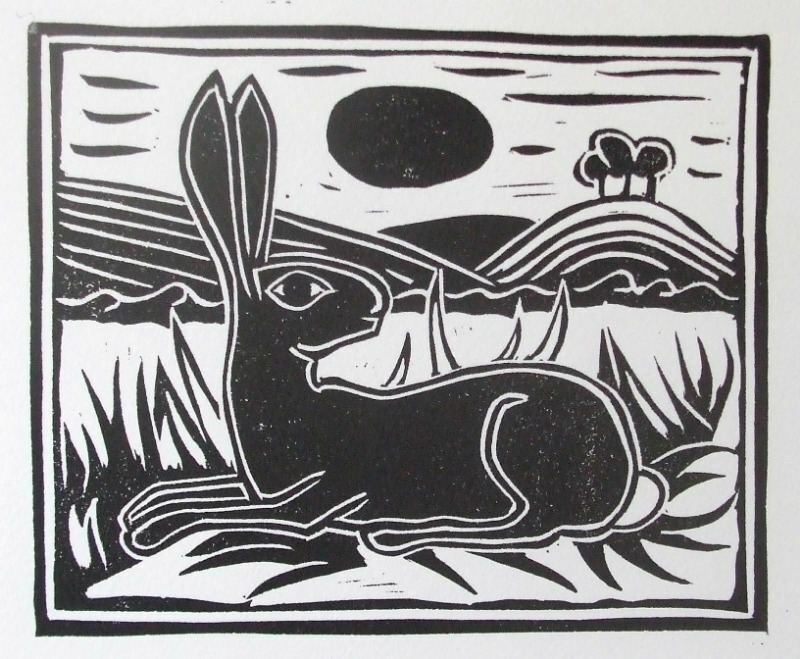 John Walker is a Dorset based artist famed for his Lino prints featuring wildlife (particularly Hares) set in Dorset landscapes. We stock a wide range of John's limited edition prints, with prices starting from £20 and also his greetings cards which are £2.50. John also produces a variety of original canvasses in oil and gouache all featuring Dorset landscapes and subjects. 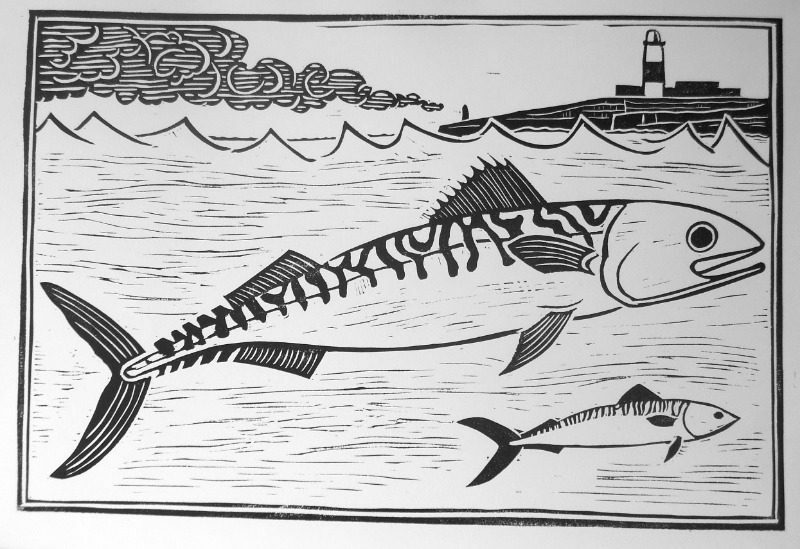 My prints are produced from an inked, hand-cut block. No photographic or computer equipment is involved in their making. All of my work starts with a series of pencil drawings on paper. 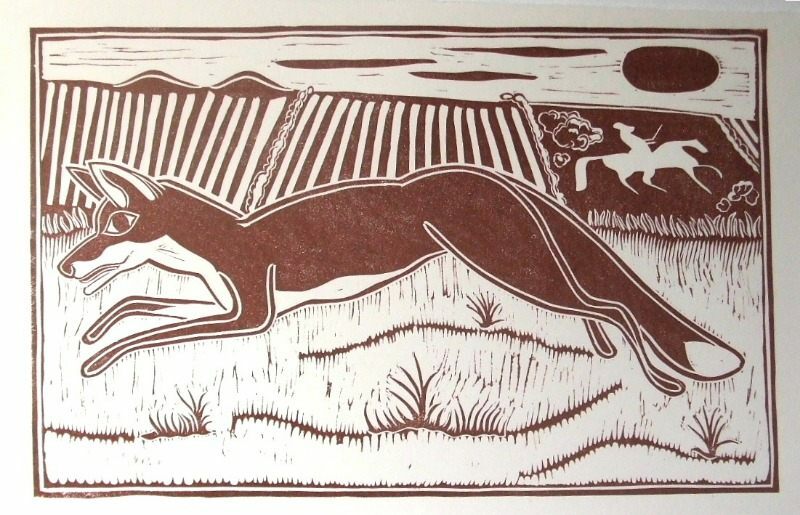 When designing prints I keep in mind the qualities of mediaeval English woodcuts, especially the respect their makers displayed for the tonal limitations imposed by the medium and the visual possibilities offered by their characteristic integral “frames”. I transpose a retrograde version of the final pencil design, freehand, directly on to the block. This procedure starts the translation of the original pencil image into a version proper to the new medium. The traditional materials and tools employed in the process of cutting the block complete the transformation. I print by hand to take advantage of the accidental and incidental effects consequent to the method. These are both appropriate to the robust images and ensure that every pull is unique. I use only high-quality, lightfast, inks on papers made at Saint Cuthbert’s Mill in Somerset.